Giftedness: To Test or Not to Test? To test or not to test, that is the question. As a school psychologist, I am often asked my opinion on testing. 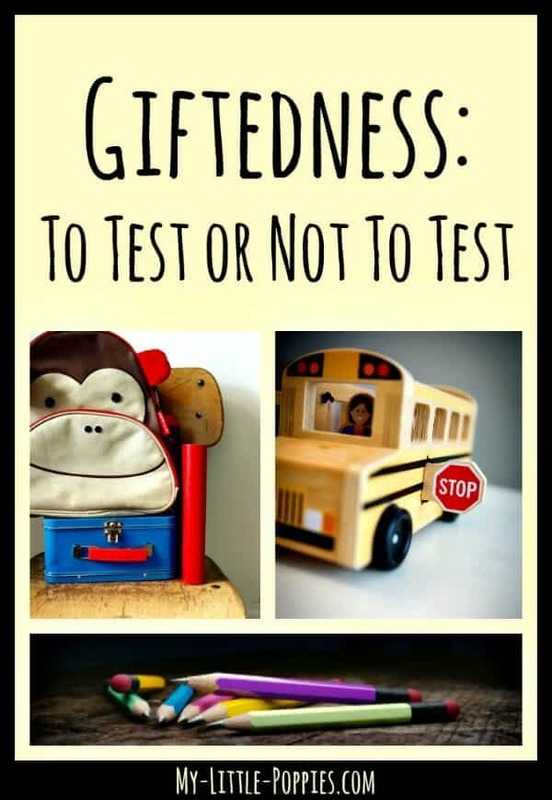 Since starting this silly little blog, I receive oodles of messages about testing for giftedness. Deciding whether or not to test your child is a difficult one, and I know this firsthand because Schizz and I went back and forth about having Leo tested for many, many months. Ultimately, the decision to test or not to test is a personal one. Today, I will share with you how we came to our decision, in the hopes that it may help others who are on similar paths. Why did we test, and what did we test for? We tested for giftedness and to determine whether Leo was a twice-exceptional learner. We wanted to know how best to meet his unique needs. We tested in order to make decisions about his educational placement. When Leo was in preschool, he was a prolific little writer and reading soon followed. His reading development did not follow a typical pattern. He woke up from quiet time one afternoon and read an entire book to me while I watched, mouth agape, wondering what on earth was going on. In a couple of weeks, he was reading fluently and in a month he was reading silently and voraciously. The zero-sixty reading development squelched that nagging voice once and for all. When your 4-year-old goes from not reading to devouring multiple chapter books daily in a matter of weeks and without adult assistance, there’s little question. It was at this point that I started my reading. I devoured everything I could get my hands on about gifted learners and gifted education. I’ve mentioned before that I attended a top university for my school psych degree and yet my training on giftedness was abysmal. For those interested, this is what I wish I had learned. The more that I read, the more I wondered about the degree of Leo’s giftedness. Educational options become more challenging for those at the upper extreme and everything I was reading was making me wonder if he could be that gifted. I also wondered whether Leo was a twice-exceptional learner. I’ve mentioned before that he has a lot of sensory “stuff” going on and also that he never, ever, ever stops moving. I worried about Leo’s transition to public school, and I wondered whether his weaknesses would mask his strengths. We tested right after Leo turned six. As much as we were concerned about his attention and focus, we were more concerned about test ceilings and the fact that full-day public school first grade was looming. Everyone has different opinions on when to have a child tested for giftedness but in my professional opinion the best time is between the ages of 6- and 8-years old. Before the age of six, most evaluators will use an instrument called the WPPSI. After age six, evaluators are able to use the WISC which is far more comprehensive than the WPPSI. Many will caution against testing at age six because young children have difficulty focusing for long periods of time. These are valid concerns, especially when you have a kiddo like Leo who could easily meet criteria for ADHD. Another valid concern, however, is that of test ceilings. These instruments were not developed to assess individuals at extreme ends of the normal curve. Wechsler himself even stated that his tests were designed to assess those who fall within the IQ range of 70-130. More recent WISCs, such as the WISC-IV and WISC-V, can eek out scores above 145 with extended norming, however, the bottom line is that this test was not designed to assess giftedness. There are other measures that can be used to assess cognitive functioning. It can be useful to use a combination of the SB-5 and the SBL-M, although some folks question the validity of using latter measure due to its age and the Flynn effect. And while one can argue that the combination of the SB-5 and SBL-M has merit when assessing kids who may be EG or PG, the fact of the matter is that most public schools, unfortunately, do not understand the SB. The Stanford-Binet is like another language to them and so it’s often easier, though not necessarily better, to use the WISC if you want the school to understand you. Certainly, you could use the SB and explain it to the school but if you want more understanding and conversation at the table, it has been my experience that the WISC can be easier. Not better, easier. Of course, all test instruments have limitations. No test is perfect. No single test will capture the whole child. Cognitive testing looks at one piece of a child at one moment in time. It’s just a snapshot of your child at one moment in time. 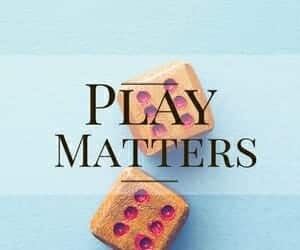 There are many other important pieces of the child that are left out, including but not limited to emotional intelligence, creativity, artistic and musical ability, leadership ability, athleticism, etc. And, let’s be honest here, folks. Testing is a very costly snapshot of your child at one moment in time. You need to weigh the pros and cons and decide what is best for your family’s unique situation. And remember, you never have to share the results that you receive. That, too, is your own decision. Leo turned six in the spring of his kindergarten year and we elected to have him tested a few weeks after his birthday. Leo never, ever, ever stops moving or talking so, of course, I was stressed that his attention and focus would be a challenge for the evaluator, but I was also cognizant of ceilings. We found an amazing psychologist through Hoagies’ Gifted Education Page. I knew I had to find a fantastic evaluator, an evaluator who understood both giftedness, twice exceptional learners, and the limitations of the various test measures. Thankfully, Hoagies’ Gifted Education Page has a list of evaluators who specialize in gifted learners and I was able to find a fantastic psychologist. I knew within moments of speaking with her on the telephone that she would be a good match. The psychologist that we worked with performed a comprehensive assessment including parent interviews and rating scales, developmental history, school history, health history, behavioral ratings, social-emotional assessments, a survey on characteristics of giftedness, a rating scale for introversion/extraversion, assessment of overexcitabilities, review of work and art samples, student interview, and observation. We had to travel a bit for the actual testing and I worried about how he would react to testing. Would it be too much for him? There was no need for me to worry. Not only did the psychologist delight in Leo’s energy and provide him with multiple breaks, he enjoyed testing. Enjoyed is not a strong enough descriptor here, folks. I will never forget that first moment he emerged from the testing room with a huge smile on his face, bouncing all over the place and shouting, “This might be the best day of my LIIIIIIFE!” Sadly, I think that testing was the first time in his six years on this planet that he truly felt challenged. He was sad when testing was finished and wanted to know when he could work with the psychologist again. He still asks to go back, almost a year later. The psychologist and I agreed to use the WISC because it is the language of the schools, with the understanding that we could do additional cognitive measures as needed. Well, during one of the many breaks, the psychologist told me to start researching the Davidson Young Scholars (DYS) program. She told me she didn’t even need to score the protocol to know that he would meet criteria. Just a few weeks after turning six, our son hit almost every ceiling on the test, and his achievement results were two to six years above his grade level. We could have performed additional testing to try to get a more valid IQ score but we declined. The number doesn’t matter to me, but the range does. As soon as I heard the psychologist mention DYS, I knew we would end up homeschooling as there is no gifted education in our state. Our gut instinct was spot-on, we had an outlier among outliers. Once we learned of Leo’s testing results, our worlds changed. Having Leo tested gave us the courage to make decisions which felt extreme and yet entirely appropriate. These choices set our son free. The only regret we have is not pulling Leo from the public school earlier. The past year has been an amazing journey for our entire family. I’ve talked about how I think our schools test too much, however, there is great value in a comprehensive, one-on-one student assessment if there are specific questions that need to be answered. The results can be life changing, folks. So that’s our testing story, and now I’d love to hear yours. There is no right or wrong answer when it comes to testing. The choice is a very personal one. Did you decide to test and if so, why? Are you trying to decide whether or not to test? Did you opt not to test, and what factored into that choice? I love hearing from you all. Everyone has a unique path. Now, it’s your turn. 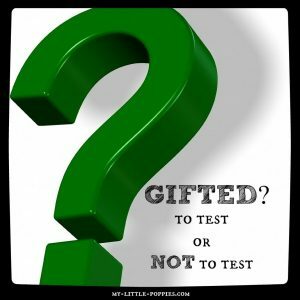 Tell me: Did you test for giftedness? Why or why not? Share here. This post was part of the February 2015 Hoagies’ Gifted Education Page Blog Hop Testing: Why? When? How? For What? Click the image below to keep on hoppin’! Good for you for testing! We’ve avoided testing for the reasons you discussed plus the cost. The public schools would have to do a free evaluation if we requested it but I don’t know if the person doing it would be able to do the quality of testing we want… Might be great, might be terrible. We’ve homeschooled anyway and will happily match his needs. It’s taking a little more trial and error, but it’s nothing like having to convince a school. So I’m a big proponent of testing for kids staying in school to make sure they teachers and administrators have a fair chance to make accommodations. At the same time, it is because of my own experiences and my husband’s that we’re homeschooling. I absolutely love hearing others’ stories, Robin. How wonderful that the school let you create your own challenges. I wish more could do this, instead of somehow denying what is often so obvious. We desperately need to do the testing. I need to know what’s going on with this boy, and I haven’t found a soul here that will work with us until Mad Natter is seven. Even when we went to the children’s mental health folks, figuring if we presented this as a massive challenge to parenting, they’ve dragged their feet – we were promised testing… well, the ball started rolling a year ago April. Then we were advised we were on the waiting list for the psych (the only way to get it done for a cost that wouldn’t leave us in the know about his scores, but living in the streets due to the expense) in September. At the end of September, we were “next” on the list to see the psych. It’s now on the cusp of February, and we’re still waiting for that appointment. Apparently, this is the slowest psych known to mankind. Care, I read this last night and wanted to comment then but- craziness. You know how it is. Anyway, without rambling too much- this situation is horrible. Honestly. It’s so unfair. I have such issue with fairness and everyone should be entitled to the same services, you know? I wish there was an easy answer for you guys. You need an answer with these kids. You *CAN* do this. I’m tempted to borrow a WISC kit and schlep up there to test him myself but I’m sure that’s not entirely valid 🙂 Hang in there and please keep me posted! I actually have the same issue with fairness, and I rail about this fairly frequently, along with several related issues that just drive me insane – fairness and justice seem to be big trigger things for me. Personally, I’m inclined to just email you my address and see what comes of it – range and vague clue is a hell of a lot better than what I’ve got now, and if nothing else, it’d work to get Mad Natter and Leo into close proximity so we could see what they decided to do. Mad Natter just got a tinkering kit for Christmas, I’m sure they could come up with something. I’ll definitely keep you posted. I’m doing what I can to keep exploring options, and maybe one day I’ll find a way to phrase what we need in such a way that starting a GoFundMe or similar wouldn’t start a steady stream of vitriol over the elite needing MORE money for their elitist purposes or such. Triggers for me, too, Care. And they always have been. Please keep me posted! I wish I could drag Canada closer. I think our boys would be fast friends! When our son was in Kindergarten we were not financially in a place where we could afford to test, and, honestly, it wouldn’t have made a difference in our cash-strapped school district. The only benefit it would have provided was convincing the school that our kid really truly was THAT outside of normal. So, we suggested the school administer a standard test meant for the second graders to our kindergartener. They obliged, out of curiosity I think. He topped out the cognitive portion of the test and in the subject section his scores ranged from 2nd grade to 8th grade…as a kindergartener. That was enough proof for them to take our concerns seriously, but unfortunately, it took us most of the school year to get there. Unfortunately, our district has nothing in place for gifted kids, especially kids like mine. The closest private options are an hour away and WAAAAY out of our price range. So, we chose to homeschool. It has been one of the best decisions we have ever made. Wow! Your post is odd timing. Last night I was filling out the forms to have our child tested. While I have had these forms for a couple of months and partially completed (life got crazy in December and January), I was hesitant to send them in because I keep second guessing myself. I know my son is different, yet sometimes he is not. When he started kindergarten, it is when I noticed the NOT behavior. He was no longer applying himself and got in to some trouble. His behavior was much different at school than at home. My son reads a little bit and struggles with some sight words, yet other days he reads words I did not know he could. He can pronounce six and seven syllable dinosaur names (I have trouble). lol He has an aptitude for math, yet sometimes he struggles. Yet, other days he blows my mind with comprehension on the matter. Because I though he would be given the Cogat test in kindergarten, I downloaded the app. for it. I was amazed at how well he did. Sure I had to read some of the questions, but he knew the answers. Then I think of his sister (extremely bright) who went form reading Magic Treehouse type books in 3rd and 4th grade to reading Shakespeare, The Odyssey and The Giver, by the start of 5th grade. She taught herself high school chemistry via books and Youtube (due to the teacher not wanting to assist one day – long story) and aced the test and then taught her classmates. I wish to have our son tested because I could use the help in assisting him – gifted or not. He has A LOT of the traits of a gifted child. He probably is not PG, but something – ???. This is a kid who was upset that he could not see molecules and wanted a microscope for his 4th birthday. He was a little disappointed because I (we) can not afford a high powered one. lol He loves the Discovery Chanel and over the holiday break (when he is out of school, his brain starts working differently again) he asked me where the microwaves are? I was heating up my hot chocolate at the time (in the microwave) and it took me a moment to realize he was actually referring to micro-waves. lol He already knows about white light (visible light), so we went over the electromagnetic spectrum – again. No apologies for ranting. I truly love hearing everyone’s story. Your son certainly sounds like he could be gifted- the molecule freak out is a dead give away 🙂 Please keep me posted on what happens! I did not want to test initially because there was not much use for the results. The ministry of education in my country would only allow acceleration if he were exceptionally gifted. However, there was a niggling thought that he might be close to that range. My friend, whose daughter had maxed out the ceilings in SB5, encouraged me to get my son tested. He is just a little away from EG, so I do not know whether he would get to accelerate. However, with the results, I could have a stronger voice to seek any provisions for him, and he would be tracked by the ministry. Will see how it goes. Sarah, I have been interested to hear what was happening. I loved reading your experience and I hope you continue to keep me posted. I am glad you have some answers and I hope it helps with his education. Great description of the decision-making process you went through and the benefits of getting your son tested. I really like how you describe how as parents, we often second-guess ourselves, and question our own judgment. Getting clarity through an evaluation not only provides helpful feedback, but also is an important tool for those who keep their children in regular schooling and need to advocate for gifted services. One of my kids also was a zero to sixty learner and it is always amazing to keep up! Good luck with your son. Thank you so much, Gail! I always value your feedback. I didn’t know you had one of those 0-60 kids, too. Never a dull moment 🙂 Thanks for reading! What a great post. I also really like how you described the process you and your husband went through in deciding to test. As you know we recently had our son tested and it took awhile to come to that decision. We already figured he was gifted but wanted to understand the anxiety he had around math. The testing answered that very specific question for us. He processes numbers like an average kid but is smart so knows he does it slower than anything else he does and that causes anxiety in our perfectionist son. But we did not go to someone who specializes in gifted testing so I do not feel we got a good assessment of his intellectual ability. He scored lowest on anything that was timed because timed tests make him anxious. And I don’t feel the tester took into account some of the very creative answers I am sure our imaginative son gave. I have also recently learned through my sister-in-law that processing speed is typically lower than others test scores in gifted children. If this isn’t taken into account the processing speed can lower the overall results of the IQ test. There is a way around this but our tester was not interested in doing that. So yes we spent a lot of money. Yes it was worth it because we and our son now understand a little bit more how his brain works. And that makes math easier for me to teach him. But if I had to do it over again, I probably would have looked harder for someone who specializes in gifted testing. … but you have a lot of answers and information already! Yes, a tester working with gifted kids would know that processing speed is often slower, but at least you know that it is. It can be processing speed and it can also be perfectionism and anxiety. A whole mix of things with these kiddos. Never a dull moment. Please continue to keep me posted!! Ok, so I got both versions of Rush Hour. Huge hit with my 6 year old, who is blowing through Jr to start with and is allowed to open “the hard one” when she’s done. Blissful peace from child#1 this afternoon. Child #2, when shown how it works, said “No! The ice cream truck is stuck! *siren sounds* the fire truck is coming to rescue you!”… and launched into a prolonged elaborate Peppa Pig rescue scenario on his road playmat. Also success? Definitely a success!! I love it! I’m cracking up over here, imagining how it all went down. Wondering if I should invest in the Jr. 🙂 Blissful peace is priceless! We have been homeschooling for about 9 years due to our eldest child’s needs not being met in the mainstream school. It was the best decision we could make. He is able to learn at his pace and what interests him. We did not test him beyond the Woodcock Johnson (a yearly requirement in our state at the time) and it confirmed what we already knew – he was an outlier. (We suspect he is 2E as he was diagnosed with receptive/expressive language delay.) We rarely used the word ‘gifted’ outside our house because of the judgement from others. Homeschooling has become a way of life for our family and it works for all our children. Our 2nd child is most likely gifted too but in a different way than his eldest brother. He was also a bouncy boy. ‘Why’ was his favorite word. I was so relieved when he learned how to google because we could not always give him the answers he wanted. So for us, testing was not necessary nor desired. We did not need to fit our children in a box for others to understand them. Homeschooling is beneficial in this respect. Good luck on your journey! I love hearing from folks who have been homeschooling for a while, Stacy. Thank you for reading and sharing your story. I think that, had we started out homeschooling, we likely wouldn’t have tested. Our main issue was whether the school could accommodate him and testing showed us that they could not. Homeschooling was never on our radar and now I can’t imagine not doing it. Thank you so much for stopping by! 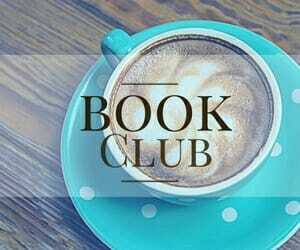 Thanks for sharing and we have been enjoying reading about your little ones and your homeschooling experiences. We tested primarily to make decisions on educational placement for our little one. For the longest time, we could not figure out why school was so hard on our little one when she was such a voracious reader and a self-directed learner. As she grew, her intellectual and behavioural differences grew exponentially and we were similarly buying time by sending her to kindergarten while we waited to sort out a plan. At the same time, we knew we couldn’t leave things as they were for much longer. My special ed. training only helped as far as advocating for her needs to teachers whom have no experience (or patience) with the sensitivities that come with the profile of gifted learners. Our little one was coming home crying of loneliness and she did not feel a genuine interest or understanding of her needs from anyone in school. She started refusing to read or reveal her comprehension of material as she felt “looks” from people and was laughed at her when her ideas were different. She was bullied at the playground for pretending it was her make-belief shop. And she got into trouble for proclaiming that the books in class were “awful”. Often she was told to just sit quietly and “help” her friends if they need. What the teachers failed to understand was that the gifted child quickly sees through this false notion of “helping other children”, because it was plain obvious to them that the other children don’t need help! I love hearing about the paths others have taken. Your little one certainly sounds similar to mine. He’s self directed in his learning and a voracious reader. It was so disconcerting when the kid who came home from K didn’t match the little guy we knew. Funny you should mention the hiding. In the winter of last year, Leo’s class took turns sharing a book at show and tell. It was supposed to be something that you were currently reading, or working to read, at whatever level you were at. He was reading Cricket in Times Square at that time and he freaked out about having to read “a fat book” in front of his friends. He actually tried to fake reading difficulties in front of me one night. This is something I worry about with my daughter. She often says she feels bad that our youngest can’t read yet, and so she’ll pretend she can’t to make him feel better (he’s fine meanwhile- could care less). How is THAT going to play out in a room full of kindergarteners? I’m so glad I found your blog! Our son is a zero-to-sixty boy too. He didn’t talk until he was almost three but was suddenly talking in sentences. Then, just a few months later, I was driving with him and he started to call out the names of each of the streets we passed. I assumed his father had told him the street names before so I didn’t think much of it. A few days later we were filling up our car and he said, “Gas,” while pointing to a “GAS” sign. My husband and I laughed and I asked him when he taught him that. He said he didn’t and then I remembered the previous week when he had been reciting the names on the street signs. Of course my husband had no idea what I was talking about when I questioned him about it, so I grabbed a magic slate from the back of the car. I started writing words down, and then short sentences, and low and behold, we realized he could read! We never sought any testing until his third grade teacher (who had experience with gifted students) recommended a grade skip. Besides the evaluation for grade placement, the testing was most useful in that it was an objective validation of our own observations. We always knew he was different, but the testing also gave us a broader picture of his abilities and his weaknesses. Until we had him tested, I had no idea the scope of his abilities, nor the possibility of asynchronous development! What an eye opener! Our son is now 11 and in the 7th grade (9th grade math). We haven’t thought about repeating any intelligence testing but he did participate in a talent search exam (which he thinks are fun too!) this past fall. Even with his history, I was still blown away by his score (he took a college entrance exam). The timing was perfect because we unexpectedly withdrew him from school in the middle of the semester. His results on the ACT exam validated our decision that he needed a different type of learning environment that could meet his needs. We’ve only been homeschooling since November but he’s such a happier kid now, comfortable in his own skin, and learning so much more because he’s pursuing his passions. I’m even warming up to the idea of unschooling as well, which was initially very hard since my husband and I are both medical school graduates and “successes” of public and private school systems. Hope this response helps others to figure out if testing might be right for their gifted child. Lisa, thank you for sharing your experience with testing and a 0-60 child. What an amazing journey you have been on! I love how you mentioned the validation. It’s so true. You *think* you know, but you aren’t sure and you feel sorta crazy saying anything about any of it until you know for sure. It is eye opening. There are *so* many misconceptions when it comes to gifted learners but I often say that if I had to change one, it would be for more people to understand that giftedness is not uniform. Asynchronous development is well understood by gifted parents and gifted individuals, but I feel like no one else gets it unless they’ve lived it. Isn’t it amazing the feeling of lightness when you remove school? I’m still amazed by it. We stressed about pulling him and then, once we did, it was just better all around. Never easy, but so much better. Love that your son enjoyed the talent search testing! I can see how a gifted kid would enjoy that challenge! Thanks again for sharing your story, Lisa! My 11 year old son was tested by the school in K, not sure how exactly but they determined that he should skip 1st grade. Not a surprise since his teacher had him doing 3rd grade math and his reading comprehension was light years ahead of his peers. He is now in 6th grade as an identified gifted, coded by the CCAT which isn’t what they use now. I am a learning support assistant within the school and just did a class that included gifted students within the exceptionalities (special needs field). YAHOO! My daughter was tested by CCAT in 2nd grade but tested in the above average/bright category. During my class however, I couldn’t help but think they got it wrong when I read the gifted chapter. If they weren’t describing my son, they certainly were describing her. However, I wonder if there is either an anxiety over tests or perfectionism trait that is causing the problem because things she asks are things that I know she could do on her own, kind of a I am going to fail this miserably rather than try my best and come up short. Does that make sense? I know my son has refused to try things if he is unsure he can do them perfectly the first time. I don’t think my kids are exceptionally or profoundly gifted, but definitely in the range of gifted. And not the in the same way either. Son is more logical/builder/architect and daughter is more creative but both can be very intense emotionally….. Thank you so much for reading and for sharing your experience. Isn’t it tough to step outside of the family bubble and look at all this objectively? Thank you so much for sharing your story. Please keep me posted on your journey! Actually, we don’t have more where I am now. In IL where he accelerated was mainly because his K teacher was very experienced and push hard for him to be assessed for skipping a grade. He did 2nd in a private church school because the public school (where they were accelerating him) had financial issues and class sizes jumped up into the 30s with no special teachers (gym, music) or many assistants. We moved to Canada in 3rd grade and both kids were bored because they repeated at least half of their previous grade. I am now finding out that the CCAT is the first step and not the end. Pretty much our school’s psych is saying I should go ahead with the full testing of him as well as her. Sigh, she can only assess him within the school if he was high priority which because he isn’t acting out (behavior), he won’t get on the list for her to assess. Best place locally is UCAPES at the University of Calgary at a price tag of $1350 per kid. Yippee! But I will keep you posted and I will check out the link. Thanks so much! Gosh, teachers make all the difference. They can make or break an entire year for all kids, but especially the kids who need something different. Testing is NOT cheap. That’s why we went back and forth and back and forth. That said, we don’t regret it. I hope you feel the same and look forward to hearing how it went! Thank you so much, Wenda. I’m honored that you would share my post with your own. I absolutely *loved* both of your testing posts but especially the call to action. I’ve shared it online and with my ed friends. But, back to your daughter… It’s a tough decision to make for sure. Keep me posted, and thanks for reading! His friends as long as he thinks it’s worth it. We also plan to use the scores for entrance to Summer programs.. Welcome, Ellie. We are a DYS family, too. What an amazing resource and community. I finally feel like our normal has a normal, you know what I mean? 🙂 Our kiddo was almost a Pre-K dropout. He pulled a major school refusal on us for his last month of Pre-K, I think in retrospect because he didn’t want to leave his teacher. I’m so glad that we’ve gotten connected! I have no doubt I’ll be able to learn a lot from your journey. We’re in the decision time on whether or not we want to have my five year old tested. We know he’s different in some capacity, and my husband is highly gifted. I liked how you said that one of your reasonings to go ahead was to free yourself for making the decision to homeschool, and I feel like that’s just where we are. I know for a fact my son wouldn’t be successful in public school, but it would be nice to have something to back me up since telling people we think he’s gifted is not usually taken well. Welcome, Vera! I’m glad we’ve connected too. I was where you were last year. I get it. It’s a tough call and there is no right or wrong answer. The scores definitely help you feel better. It shouldn’t have to be that way, but that’s the way our culture works. You feel justified. I’m happy to have you here! Loved reading this post – I’m bookmarking it for the spring. We were encouraged NOT to do an IQ test with our oldest last spring, and I went along with it. My husband and I are still deciding whether it’s something we want to pursue. It will depend a lot on how long we homeschool and what resources would become available with the official label. I’m so glad that your testing experience was such a positive one for all of you! Thank you for your thoughtful article and insights. I am so grateful that my children were served by good gifted programs and teachers. I do feel the pendulum will swing back, but it is sure taking a long time. Parents really have to get vocal to get any rights for their kids, and many of today’s politicians are all about money. I could not agree more. I’m hearing a lot of squeaking from parents, teachers, and gifted advocates. I’m hoping that all these squeaky wheels help that pendulum to swing back where it should be. We can’t leave these kids behind. Thank you so much for reading and sharing your thoughts! Thank you for your helpful article! My son is almost 6 and in public school kindergarten this year, and we are considering having him tested… he is several grades ahead in reading and math and is a lot like the “zero to 60” you describe. Cost is very prohibitive for us right now but I feel like a true evaluation would really help me advocate for him better, whether we keep him in formal school or consider homeschooling. Do you know of any informal testing resources I could use myself as sort of a “pre-test”? I also have that “back of my mind worry” that it’s just us thinking he’s brilliant 🙂 and I’m scared to break the bank for a test that turns out to be unnecessary… Thanks! I am excited to read more of your blog now that I’ve found it! Thanks so much for sharing your experience. These 0-60 kids really keep us on our toes, don’t they? 🙂 Cost is a huge factor when considering an evaluation. I do not know of any reliable pretests, sorry! If you are in the US, the school system can eval him at no cost. Of course, they aren’t necessarily trained in giftedness. It’s a tough decision to make for sure. Please keep me posted on how everything goes! My son is 12 and my daughter is 10. You mention, and Hoagies does as well, that the best time to test is between 5-8 or 6-9. Are results not as accurate after? I struggle with justifying the expense of private testing but hoped to have some insight as to help them get past their issues. We started homeschooling last year to give them room to fly and not be held back in a conventional classroom. Such an amazing experience! They are both so much happier and relaxed! Neither have been tested yet but we believe both are gifted. But my son must asynchronous with writing issues and both are perfectionists. (UGH! The fear of failure! I’ll have to read your posts about that next time.) Thank you for your honest posts and advice. Results after that point are considered accurate. The difficulty you may run into would be with an exceptionally/profoundly gifted kiddo who hits ceilings. If you hit the ceilings, or don’t meet discontinue criteria, your results won’t be totally accurate. Still, when you are hitting ceilings that tells you something. Our psychologist wrote in the eval that our results weren’t entirely valid because our son hit all the ceilings. Does that make sense? Let me know if you have other questions. I’m so glad that homeschooling is going well for you! We had him tested initially at the age of 6 1/2 at the end of his 1st grade year. We had just received the ADHD diagnosis, his teacher was convinced he was not gifted but was on the autism spectrum, and I knew kids could be misdiagnosed as having ADHD if they were gifted and had motor OE’s. His was given the WISC IV and determined to be 2E. I felt I finally had a true picture of what was going on in this kid’s mind. (and I felt some validation, as well!) Though he tested in the gifted range, there was a 50+ point spread between his highest and lowest score. We chose to try medication for ADHD. He was reassessed about 1 1/2 years later and scored 16 pts higher on the IQ assessment. Again, validating what we were seeing and feeling at home with him. I love this story, Misty! What a journey these kids take us on! Please keep me posted on what is going on with you guys. Love hearing these stories of these fantastic 2e kiddos! We’ve had two testing stories that are as different as the two little boys who caused them. Our oldest is being tested now and the youngest was tested last year. Oldest has had sensory issues since day one, talked early (and often), and butted heads with the education system from day one. He came out of kindergarten saying that he was learning nothing. When pressed about what he wanted to learn, he told me that he wanted to “find out what happens to earthworms in zero G”, (It was 2010. I looked and the research was just happening in the international space station.) He once told me that he wanted a prehensile tail…at 5. And then told me what it was and why he wanted it. And yet, he struggled to learn to read in grade 1. We’ve had battles over homework. And he’s a solid B student. I’ve been perplexed. On alternate years, we get complaints about not paying attention from teachers (often when I dig, I find that he is paying attention, but asking questions a little outside their expectations). And the anxiety is sky high. It was during one such anxiety bought that we went to a community program for counseling and the woman who counseled us said, “Do you realized that he has a conscience…2-3 years before he ought to have one.” She encouraged us to have him do a full psych-ed test. We signed him up. And waited. And waited. It’s been 2.5 years and he finally came up. He LOVES the person testing him. I was worried that his anxiety would do him and the testing harm. It’s been the same as the experience you describe with your son. He’s thrilled. And she came out and told us after the first day that he tapped out at a 16 year old level. He’s TEN! Today, she told me average adults can hold 7 numbers. He’s solidly at 8 numbers. I researched that. It means his working memory is extreme. But I knew that from the miles of animal facts he’s inflicted upon me over the last 9 years. We won’t get the final results until the end of this month, but I am pretty sure he will be identified as gifted. Possibly 2E. I’ve wondered about his abilities to organize and possibly ADHD. We’ll see. My littlest was the early (and fast 0 to 60) reader. His reading level hit grade 2 levels before he left kindergarten. And he wrote endlessly. He loves puzzles and workbooks. And he creates endlessly (thank goodness for Legos!). His kindergarten teacher came to us in January of that year and asked if we would consider testing him. I was surprised. Littlest had a heck of a time learning to speak. He’s had a rough first year with reflux and allergies and it is my belief that he couldn’t take the language in while he was crying so much. He went to speech therapy at 18 months and is still getting services for stuttering now, at 7. But when his teacher asked us, I could find no reason not to, so we did. I was floored at the results. His vocabulary and reading levels were off the charts they used. His patterning skills and other skills in that set were 99th percentile. They offered him a spot in the grade one gifted program. We’re fortunate to have a program that starts so early in our area (not all do), and we accepted after much debate. I’ve not regretted it for an instant. Littlest is happy in that program in a way that I can only wish for all kids. He’s just started second grade, and he’s in love with school, reading, and Pokemon. He’s taught not just the curriculum, but skills on reaching. It is not enough to understand something in their class. They poke at it from all angles. No stone goes unturned. No quirk is too much. They problem solve. And they celebrate investigation. Last year, he came home talking about how “getting good grades was not the point…that we need to reach ourselves”. This is the lesson I want him to learn. My oldest is in a French Immersion program. This is not an ideal program for him, but he refuses to go into the English program, as the kids there are disruptive and he’s invested in the social circle where he is. I often feel that this is an off fit, but am powerless to make it better. There are no other options for him. And if he is identified at the end of this month, I am not certain what we will do next. But the testing…it’s been a glorious experience for him. I’ve been exploring giftedness around Littlest, but it’s a whole other animal with Oldest. I came to this post via your post about OEs. And that too is Oldest. Yesterday, his pants pained him at the knees, for example. And suddenly, he is beginning to make sense. Thank you. If for nothing else, but that I no longer feel alone and I can see that my child isn’t alone either. It is really good to read that the best testing age is 6-8. We had our little one tested at 4 to see about learning challenges and she quit early on a couple sections. Just was too challenging at times for one so young. She very active too and even with breaks it was too much sitting. But she also LOVED the testing!!! Still asks to go back more than 6 months later. She only scored a couple of points below gifted, even with quitting. However her processing was in the 40th percentile and everything else was in the high 90th percentile. If we could get a gifted IQ result we could start getting services she needs like OT so we are just waiting I guess! She struggles a great deal socially and emotionally but we can’t hang on a bit longer right?! I’m pretty sure she has spatial challenges as she taught herself to read at 4, but can’t complete a simple puzzle (partially by choice but partially because it’s really challenging for her) so I am looking at which test would be the most appropriate too. It’s entirely dependent upon the child, of course, but I find 6-8 or 9 to be the best window. If PG is suspected, I err on the younger side due to ceilings but behavior and anxiety can depress testing results.I hope your psych told you that it is not uncommon for processing to be lower in this population. I see and hear that all the time from parents and kids. And, just so you know, we were able to get OT before we had testing. In fact, the psych who did our testing wanted us to do OT first because it helped him with some of the SPD and attention issues we were having. Hope this helps and best of luck!! Hello! Did you join DYS and if so, are you getting a lot out of it? Yes, we joined DYS. 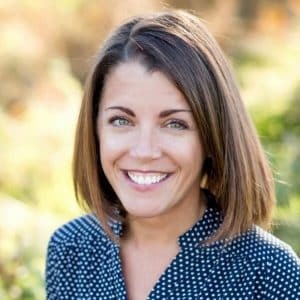 I have found the parent connections and community to be extremely helpful, however, I’m not sure I’d shell out the cost of a re-eval JUST for that. I love DYS, don’t get me wrong, but testing is expensive. I’ve not used any consulting services since we homeschool, so I just use parent groups. 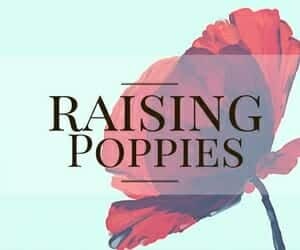 Are you in Raising Poppies on Facebook? We have a great crew there and you don’t need to give us test results. Just a thought while you decide on this! Thanks! I’ll check out the Facebook group! I’ll wait and see how the year goes and decide. Since we can do the PG retreat already and have a gifted homeschool group here we may just skip. I’m not looking for a specific number or anything…! Is it correct that if you can’t pay for testing, it’s not an option? Outside evaluations can be exorbitant, yes. 🙁 You can also have an evaluation through the school district at no cost, but school-based practitioners are rarely trained in gifted testing. I am on the verge of having my six year old tested. He has had a horrible winter at school, hating it to the point of meltdown. He is one of the oldest in a split Jr/Sr Kindgergarten class and aside that he is in an all French school which is slightly challenging I think he is truly bored. They say he doesn’t work on numbers or letters and just plays, but I don’t know why he would when he has known them for years. I am not sure what the testing will bring for us aside from understanding him better and hopefully having the school understand that he needs a bit more to do. I also just curious as I have always known he was different but not sure exactly to what extent. We did do testing. We went in looking for dyslexia in my 8 year old son. After switching schools and coming up with the same problems we decided to pay for the testing. We tried to avoid this as long as possible, but with the same issues coming up we felt we needed to find the root of the issue if there was one. This test checked for more than just dyslexia. The results showed my son has dyslexia, dysgraphia and slight ADHD along with being gifted. I was only expecting to get a yes or no on our original concern of dyslexia and instead got an in depth look into my son, I’m happy we did it. It’s been less then a week since the results, so everything is still very new for me. And the more I read the more overwhelmed I get. However blogs seem to be easier to read than books right now. I just came across this article. Our daughter hit the ceilings on the WISC-V and came out above 99th percentile in all testing areas. Because she is only 6 and the length of testing time is an issue, they did not utilize any extended version. I am wondering whether and how to have additional testing done to figure out whether her actual IQ is higher. In some regards, it’s irrelevant in terms of being qualified for the GT programs in our school district, but I might want to think differently about her education even within GT if she is EG/PG and not “just” HG. Thoughts? I would contact the evaluator about this and ask them how best to proceed. I really would like to move forward with a full assessment for my 9 year-old. After reading about your experience with Leo, I can’t help but want that for Preston. I want him to come out of his testing talking about his “best day ever”. My hesitations are cost and finding the best fit for him, a experienced professional that specializes in gifted assessments, specifically with 2e kiddos. This brought back memories. I was tested at the same age and had the same euphoric reaction. I already knew what I was but it was good to stretch the mind and be around people who got it (they also liked me because I was the only one who could consistently make the photocopier work). I think the majority who do the test lose points on the timed sections because they refuse to be rushed. 🙂 And because of the local community health centre where I took the test I will always associate the good memories with grim 1960s architecture. This may be the only time anyone has ever had a good feeling about sixties architecture. It’s an amazing feeling when you feel challenged intellectually for the first time in ages (or ever), and when others understand and recognize you! Not that it did me any good. There is no gifted education in Britain, homeschooling wasn’t an option and I didn’t live anywhere near democratic schools like Summerhill or Sands. So it was back to the grind for twelve more years. My daughter is 3Y7M old. When she started speaking all the alphabets in sequence and 1-20 numbers in sequence by 17 months, or when she started speaking in compound sentences and started correcting our pronunciation or verbal grammatical mistakes by 21 months, or when we observed she could permanently register in memory pretty much anything from months ago, or (at 2.5 years) even when we first started noticing what seemed like a strange sense of perfectionism and intense emotions – we didn’t really think much about anything. Until a few months ago, when I just happened to read, rather accidentally, that there was a concept in this world called “Giftedness”. When I first read about it, a chill ran down my spine. Many of what I was reading suddenly seemed like describing my daughter. The speaking, the memory, the perfectionism, the emotional intensities, the Overexcitabilities, the intense curiosity that makes her ask us questions like “Why water comes in eyes even when we are not crying?” or more recently “What is Life?” – all of it seemed to just fall in place. It seemed suddenly that we found the jigsaw where all the pieces just seemed to fit in place. When asked “What happened, how did you fall down?” just after she fell playing in the playground, she replied “Because I lost my Centre of Gravity”. Understanding my daughter has been a challenge for me and my wife. Much like Leo, she cannot sit still – she needs constant persistent movement and gets overstimulated by things which seemed to interest her. If not for the few hundreds of articles I’ve read, including your website (and twitter feed), I’d probably be thinking ADHD by now. She revels in patterns – she makes patterns out of everything. Even as a 21 month old, during a Play & Music class we took her to – while all the kids were taking Maracas and shaking and throwing, she took the Maracas and started arranging them forming a semi-circle pattern. This pattern-seeking even extends to certain types of repetitive behavior – where, given a standard scenario at home or outside, she would repeat the same words or actions and expect us to follow suit and gets terribly upset if I turn on the lights – while it’s an activity within her daily pattern. Again, if not for all the articles this would’ve put up a red flag for ASD. But thankfully, I understand her better than I would have done if I had never read that accidental article. But she continues to be a new project for us every single day. In a dire need of constant stimulation, intense physical activities to take the edge off, newer challenges, something to constantly keep her thinking – we continue trying several things soaking in every bit of resource we could find on the internet (including this wonderful website of yours). At 3Y7M, she is too little to even consider testing. We would probably consider testing when she’s closer to 6 years, but not to get an IQ#, but more for us to understand her better, to ensure we know what may work best for her academically and at home, to understand how to help her leverage her strengths to keep her appropriately stimulated and to help us to help her manage her intensities and Overexcitabilities as she grows up. I really enjoyed reading your post and everyone’s own experiences. I have 4 children and my two oldest were both tested at school for the gifted program. I never thought of either one of them as gifted but both tested in on some cognitive abilities tests. My oldest I know also took a Ravens but I don’t have any other details. The school does not give you much detail.My second boy was also diagnosed with high functioning ASD which I find it hard to accept. He has some sensory issues and social issues at school. He has no friends and plays with no one on recess. He is a rule follower, perfectionist and very sensitive. This is why his second grade teacher was concerned so we had him evaluated for ASD. His first grade teacher noticed he liked to read a lot instead of going to recess and thought he was gifted. He was tested just this past month now in the third grade at school as intellectually gifted and in reading. This is all confiusing to me. I am kinda hoping that he really does not have ASD and maybe just some gifted traits. I also was wondering if schools just test for over achievers and not real giftedness? It seems from reading that IQ tests outside of school are more true assessments of giftedness. We will never have them evaluated outside of school because we can not afford it but I am not sure how to approach his psychologist about my concern about my second son maybe being misdiagnosed with ASD or maybe I am just being an unrealistic parent. I’m super interested in this post on your experience – thank you so much! I’m floundering a bit tonight because we have been homeschooling our daughter from the beginning. I know that she has always picked up on things extremely quickly, and I wanted to have her tested this spring to make sure that I could adjust anything that I needed to in our curriculum, make sure we focused on problem areas, and be challenging her appropriately. I’ve switched curriculum in English and Math more than once over the years because she’s been incredibly bored. I just read her test results tonight for the first time, and saw that she tested at 97% in the CogAT, and higher than national averages in her test subjects, but lower than expected for her own cognitive ability in most test areas. 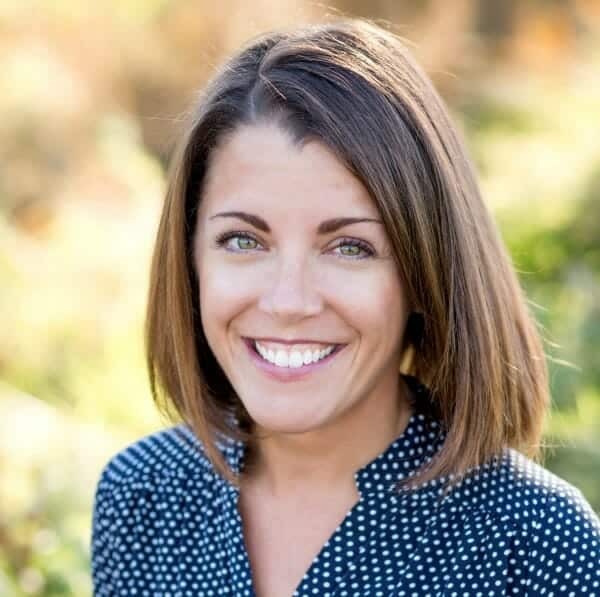 As the test administrator (for the IOWA), I noticed that many of the questions that she missed were things that we had not yet covered in her schooling material. 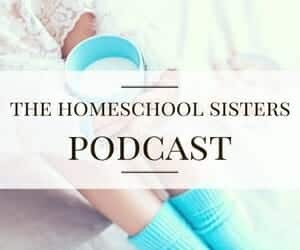 My husband and I just last night were saying that we really don’t know how to challenge her through homeschool the way we think she needs to be – especially in the hands-on ways that she most loves. But you say you choose to homeschool! Can you please give us some insight on how to homeschool and really challenge her, and especially have appropriate expectations for her? We all really enjoy homeschooling and it’s going well and we would love to continue, but only if that’s best for her! Do any of the books you recommend here specifically speak to our situation? Thank you SO much if you have time to respond to this!!! Honestly, the best advice I can give you is to follow her lead. These kids take off on their own, and we just need to support them. You don’t need to teach them everything, but rather teach them how to find the knowledge they are looking for. Instilling a love of learning is the most important skill you can give these poppies of ours. Best of luck on your homeschool journey! I’m so glad I found this post! What if homeschooling is not an option?